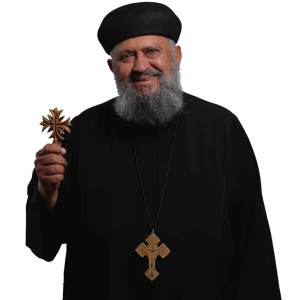 Father Macarius Shehata was born on March 29, 1944 Assiut, Egypt. On January 14, 2001, he was ordained Priest by His Grace Bishop Serapion. He served at St. Mary of Egypt Church in Santa Clarita and St. Justina Church in Rancho Cucamonga, California, and St. Mina in Riverside. On Sunday, November 6, 2016, he received the priestly dignity of the rank of Hegumen.